Writing the army biography may appear somewhat similar to that of writing a standard resume but in this case, the focus is on the career, training, awards, and achievements instead of background and education of the person. 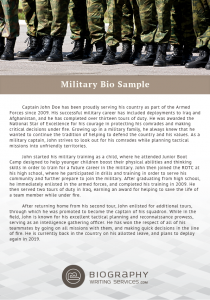 There are different formats that you can use when writing your biography for the army but it would be better if you stick with the classic or standard format to make it more professional. In your promotion board etc. Now, we will tell you the importance of good crafter bio. Apart from writing about your career experience and background, there is a lot more to add in a bio which you do not know. Now, what is more, challenging about writing a bio yourself? Is that you have to make it engaging for the readers and in addition to that it should be professional. 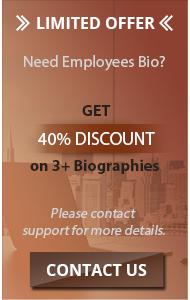 You now know that it is not going to be an easy task to write a bio yourself, this the point where you want to use our bio writing services. What’s the Best Army Biography Format? Basic Information. This should include your name, rank, branch, your deployment status, date of birth, where you are currently stationed, and your hometown. Army History. List your history in the army in a chronological order. Begin with your first experience in the military until you reach your current position. Don’t forget to include information about your enlistment, the training you’ve received, and the units as well as locations that you’ve been deployed to. Awards and Honors. If you have received awards or honors during your time in the army, add them to your biography. Service ribbons can also be included since they are part of your army career. Schooling. Indicate where you got your schooling for the army. If you underwent training after boot-camp write of it as well. Add details to this part of your bio by talking about your coworkers, the various tests you took in relation to your army training, as well as recommendations received. Ranking. You should include your rank history in your biography starting from the very first position that you received. Don’t forget to indicate the dates when you received each rank in the army. Personal Background. The last part of your army bio should be about your personal information such as parents, siblings, spouse, children, as well as civilian schooling received. The military is no doubt, considered the most respectable profession in any nation and military persons deserve this respect due to their selfless efforts for their nation through the whole life. This is the reason; when any person retires from the army, lots of opportunities wait for him. However, presenting the achievements and expertise through military biography is not a matter of ordinary nature. Being special persons, the biography of army personnel should also be exclusive and attractive. 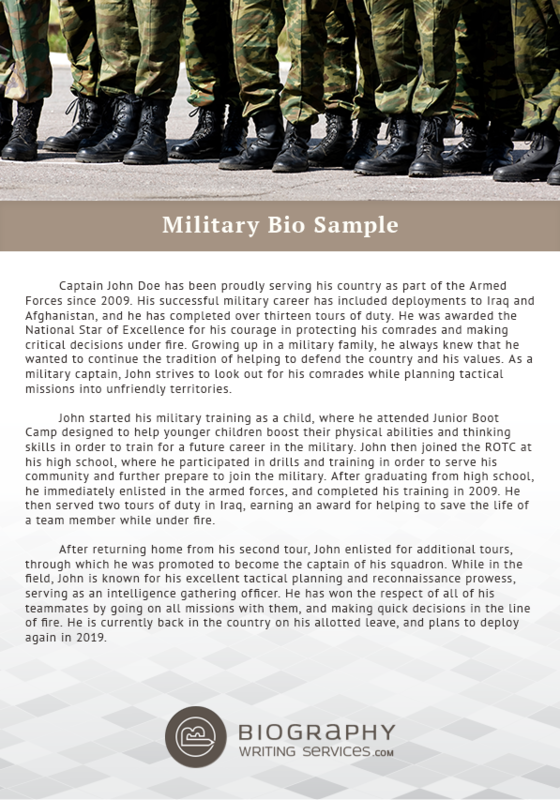 Following are some tips to make the military biography an exceptional one. Start writing your military experience in chronological order. You should also mention the brief details of your each posting such as the name of your unit, location, and duration of posting, achievements during each posting etc. 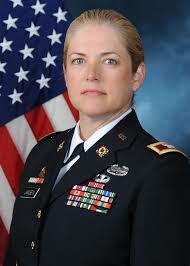 You should highlight your awards and honors that you have received during military service at top of your biography. You should clearly mention the stars and service ribbons at your uniform. The present rank or the last rank at the time of your retirement should be mentioned with the name. In case of writing the biography of retired army person, you can use the prefix “Ex”. After writing your ranks, awards and achievements, you should mention the schooling and training that you have completed during your military career. Now you should mention the details of your civilian schooling that you have completed before joining the army. In the last, you should write your personal information in detail that includes your permanent and mailing address, contact information etc. 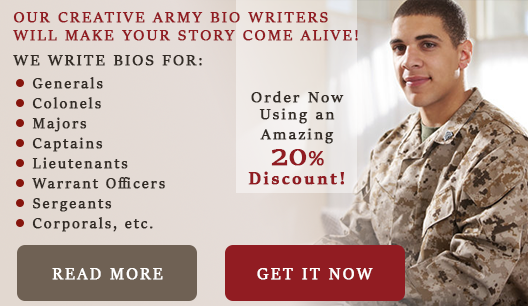 If you are feeling difficulty in writing a military biography in above mention format, our professional writers are available for you 24/7 to write an exceptional army bio for you at a highly affordable price. Need an Army Biography Example? To get a better idea of how a biography for the army should look like, you should look for samples online. You’ll find that there are different ways to format your biography. Some will depend on the requirements of the specific division you want to apply for but most will follow the standard format which is outlined above. It’s not unusual to find yourself wishing that someone else take up the task of writing your army biography. 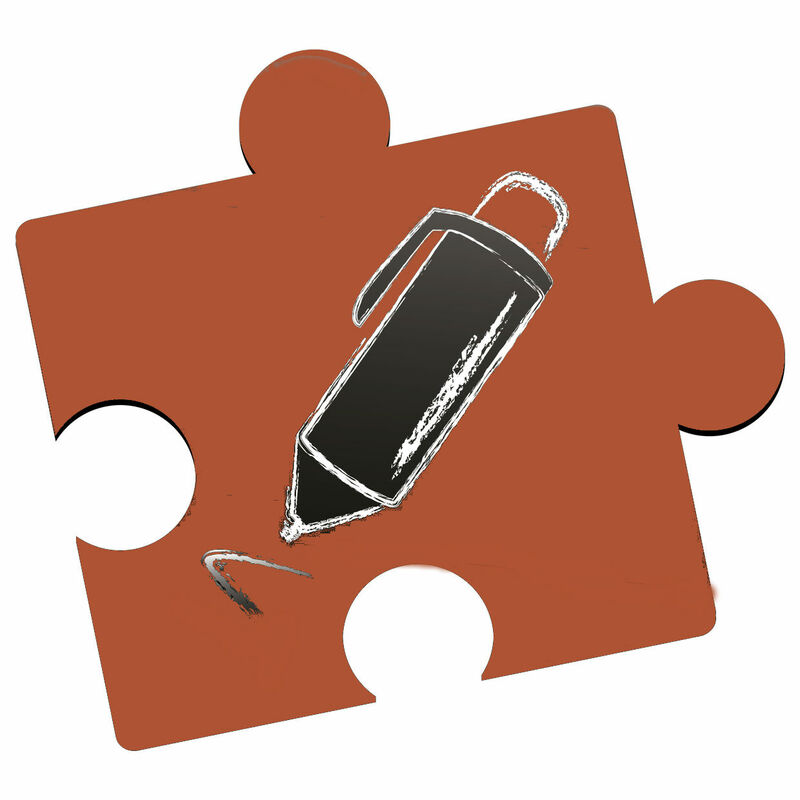 If you really want to ask for help, why not consider hiring our biography writing service? We have different samples on hand such as doctor bio example, author bio example, and even army bio sample if you need one. You can trust us to deliver a fully customized biography for you based on the information that you send us. If you are looking for Marine Corps general officer biographies then you should not stress over it anymore, out expert bio writers are at your service. Our writers will weave your leadership philosophy, vision, personal value, and they will define your career milestones in most appealing and engaging words. They will tell the story of your career beyond the resume or CV. Your online presence will go to another level if you share your navy chief bio online on any social media platform. Now you are clear about the fact that why you need our bio writing services if you want military bio air force or even chief of army staff biography, we are always available at your service. You must not waste more time in thinking, just order now and get the most effective, engaging and appealing bio for you. Choose our writing service today and we’ll show you how to write your army bio like a professional!